Ryan Jacobsen takes viewers on a “grape-tastic” adventure! On this episode of Valley’s Gold, you will meet host Ryan Jacobsen and his dad, Ray, owners of J&L Vineyards in Easton, California. See many varieties of wine, table and raisin grapes as well as traditional and modern ways of cultivating and harvesting. Whether sipping a glass of wine or enjoying nature’s candy, it’s all a part of our Valley’s Gold. Wild grapes once grew in profusion along the banks of the Central Valley rivers prior to the arrival of the first settlers. The Yokuts Indians harvested and preserved the fruit. The first immigrants praised the flavor and copied the Yokuts method preservation.Land development and the diversion of water for irrigation resulted in the disappearance of the native grapes. The establishment of commercial vineyards in Fresno County commenced with the arrival of two Swedish brothers-Francis T. Eisen and Dr. Gustav Eisen. In 1873, F.T. 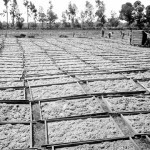 Eisen began planting grape vines. Dr. Gustav Eisen conducted numerous experiments over the next decade which improved the production of wine, raisin and table grapes. In 1875, when the Central California Colony began to sell lots, many of the new landowners planted grapes on their twenty-acre parcels. The crop flourished. As other colonies developed around Fresno, vineyards began to appear with increasing frequency. Theo Kearney’s FruitVale Estate to the west were two of the largest grape producers in the County. Fortunately for Fresno County’s infant vineyards, the central San Joaquin Valley was free of the phylloxera, a tiny aphid-like insect that attacks the roots of the vines and decimated the wine industry in France and Northern and Southern California in the 1870s. The combination of good stock, expert cultivation and irrigation came together to begin yielding substantial crops that ripened during Fresno’s hot summer months. 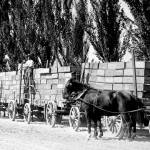 Fresno County’s raisin industry began as a mistake! The summer of 1875 was very hot – so hot that some of the Muscat grapes in the Eisen Vineyard dried on the vines. Francis Eisen decided to stem them and send them to the San Francisco market anyway. He sold them as “Peruvian Importations” to expensive grocers in the City who put them in window displays. A gentleman named Hickson saw them and discovered that they were from the Eisen Vineyard. He told the raisin dealers that the best raisins came from Fresno County. This is how one of the County’s most profitable agricultural industries began. These “Peruvian Importations” from Fresno County were an immediate sensation. The following year, the Hedge-Row Vineyard, a colony farm of 100 acres in the Central California Colony, was established by a group of four women schoolteachers from San Francisco. By 1878, the two principals, Minnie Austin and Lucy Hatch, packed their first raisins from the original two-acre planting. Thirty-two twenty pound boxes were sold under the name “Austin Brand.” These boxes had the distinction of being the first packaged raisins to be shipped out of Fresno. Less than ten years later, the Hedge-Row Vineyard was packing 7,500 boxes of the finest California raisins. 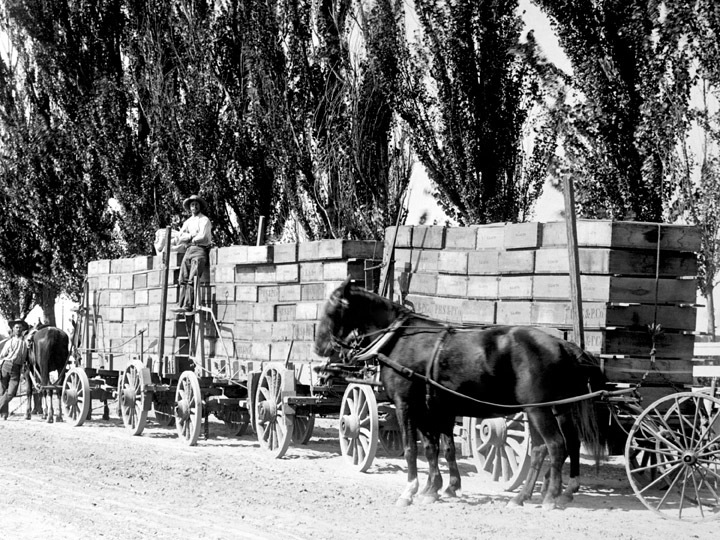 Known as the County’s Raisin King in the last decade of the 19th century, agricultural pioneer M. Theo Kearney developed his 5,000 acre Fruit Vale Estate in west Fresno through the 1880s. He brought together the first mass meeting of raisin growers to form the California Raisin Growers Association in 1898. The organization is the precursor to the world famous Sun-Maid Growers of California.